When companies voluntarily sign the pledge, the companies will be part of a greater initiative to create a business environment in Malaysia that controls corruption through promoting values of transparency, accountability and good governance and strengthening internal systems that support corruption prevention. According to PEMANDU, by voluntarily signing to uphold the Principles in the pledge, companies are committing to a longer term programme to increase integrity in the Malaysian corporate sector through good governance, accountability and transparency among others. The Pledge is backed by KPMG, whose Managing Partner, Mohamad Raslan said this to the media; "The 2009 KPMG Fraud Survey revealed that fraud continues to be a serious threat within corporate Malaysia, with 49% of companies surveyed experiencing at least one incident of fraud." So why can't PwC Malaysia, the largest audit firm in the country, back the Corporate Integrity Pledge, and show some support to PEMANDU, who are their clients? The answer is simple. If we look at the words highlighted in red in the two preceding paras, it becomes apparent that while PwC Malaysia can claim a very close acquaintance to the word fraud, they will have a bit of a problem convincing us that they understand the meanings of the words integrity, good governance, accountability and transparency. PEMANDU now has to ask itself how seriously the corporate sector in Malaysia will take the Corporate Integrity Pledge, when PEMANDU itself gives consulting jobs to PwC Malaysia and has even appointed PwC Malaysia to help set up an assurance framework to annually assess the quality of sources, processes and information for its annual reports? On the one hand, the Malaysian Public and the Corporate Sector are expected to accept that PwC Malaysia can get away with not answering the allegations of fraud against its Managing Partner, Chin Kwai Fatt and his fellow senior partners, while on the other hand also swallow the fact that PwC Malaysia plays the crucial role as the independent third party which will assist PEMANDU in convincing the Malaysian Public and corporate sector that the measures taken by PEMANDU are working? 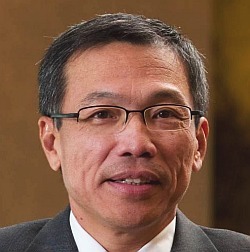 Chin Kwai Fatt, Managing Partner of PwC Malaysia. He has not reported this blog to the MCMC or the Police yet. Neither has he denied or replied to the allegations of fraud against him. We will leave you with a couple of quotes from Mr Prakash Chandran and KPMG's Mohamad Raslan, which gives some hope, even though PEMANDU has not learned that it is a bad idea to appoint PwC Malaysia for any jobs involving reform and economic transformation, until the fraud allegations against them are addressed, as that is like the fox guarding the chicken coop, or to set the wolf to guard the sheep. 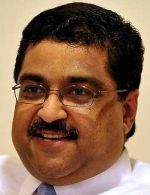 Prakash Chandran : In business, the decisions of a few to act unethically and illegally can destroy the lives of thousands of honest, hardworking employees. Mohamad Raslan: The pledge sets the right tone at the top for ethical behaviour and serves to instill the right corporate culture.